Pakistan all-rounder Shahid Afridi on Friday sought to bat away controversy over comments he made about women’s cricket, saying he had been quoted out of context.The big-hitting 34-year-old came under fire this week after TV interview footage circulated of him commenting on women’s cooking skills in response to a question about women’s cricket.Afridi insisted his remarks had been taken out of context by people who wanted to bring him down after his recent heroics in the Asia Cup. Earlier this month Afridi hit last-over sixes to help Pakistan beat arch-rivals India by one wicket and then smashed a 25-ball 59 to help chase down a 327-run target against hosts Bangladesh. 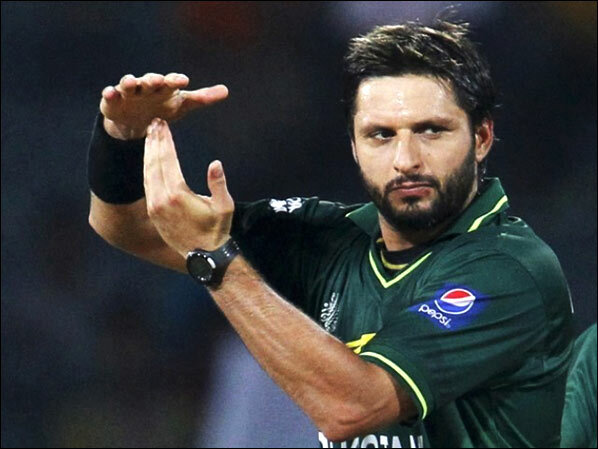 “I am shocked to listen all the stuff and read some on the social media,” Afridi told AFP. Afridi, who hails originally from the deeply conservative tribal areas along the Afghan border, said he had always backed the women’s game. “I have been a big supporter of women’s cricket and if you ask our women players they will let you know how I tried to get sponsorship for them,” he said. “There are a few people who are jealous of my popularity and they try to find something controversial against me. In the footage, taken from an interview with ARY news channel in October last year, Afridi is asked whether he thinks Pakistani women should play cricket. “Our women have great taste in their hands and they cook very tasty food,” he replied. Former international women’s player Kainat Imtiaz gave the star her backing. “He (Afridi) has always been a great supporter of women’s cricket and whenever we used to cross paths in the national academy in Lahore he helped us and encouraged us,” she said. But once the clips of the interview went viral on social media, there were strong reactions from women’s organisations and analysts, condemning Afridi for relegating women to the kitchen. Activist Mehnaz Rehman said the remarks represented a typical attitude in Pakistan, which remains a patriarchal and at times misogynist country. “It will take years to change our men. Men display and get their abilities recognised at all levels but when women do this they discourage them,” said Rehman, regional director of Aurat (Women) Foundation.